After recent achievement leaks, Daytona USA finally received an official announcement for the Xbox 360 and PlayStation 3 digital download services. 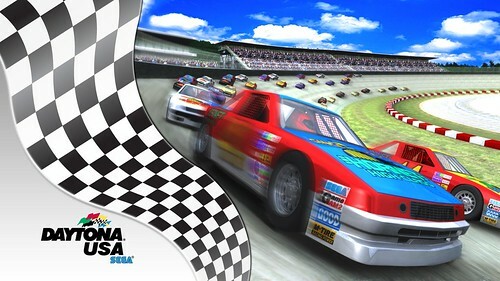 Sporting a widescreen resolution and enhanced visuals, it is quite possibly a home release of Sega Racing Classic, Daytona’s recent and improved re-release on the RingWide arcade platform. The game will also feature online multiplayer, a first in the series for European gamers as the CCE Netlink Edition and online functionality in the Dreamcast remake never reached their shores. Steering wheel support is also included as well as survival and time trial modes. 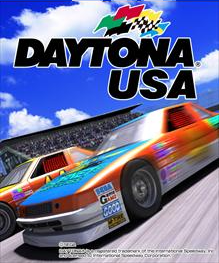 Daytona USA will be released on 25th October on PS3 in SCEA regions for $9.99, and on 26th October on Xbox 360 worldwide for 800 Microsoft points. Late November will mark the arrival of Daytona USA to European PlayStation 3 owners.